CCG hosted their annual Christmas Party and awards ceremony at Oak Creek Café ( http://www.theoakcreekcafe.com/ ) in Arbutus on January 18, 2019. Here at CCG, we like to recognize our diligent employees that help us deliver high quality services every day. At this year’s company holiday party two of those hardworking individuals were recognized as “Employee of the Year” and “Tech of the Year”. 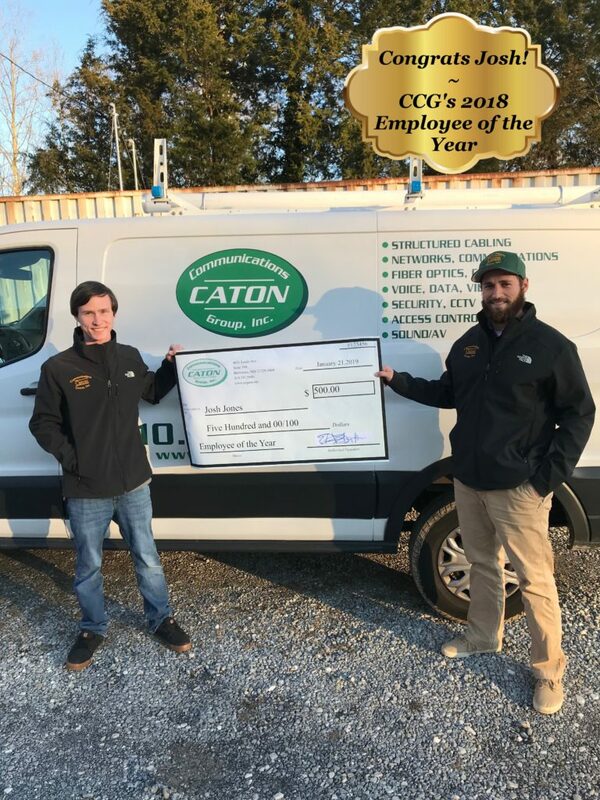 The winner of the “Employee of the Year”, Josh Jones, was recognized with a $500 check for his excellent attendance, professional improvement, and incredible work hours flexibility. He also continuously demonstrates great initiative, great teamwork and rarely needs supervision. His persistent successes in bringing in new business and ensuring the customer is always satisfied, makes Josh Jones CCG’s “Employee of the Year”. Tom Bowen was also recognized at the holiday party as “Tech of the Year”. Tom received an assortment of tools consisting of Dewalt Hammer Drill, Bluetooth speaker, multi-tester, and drill bit set. As a tech, Tom has demonstrated his strong work ethic and determination to complete jobs on time and often under hours. 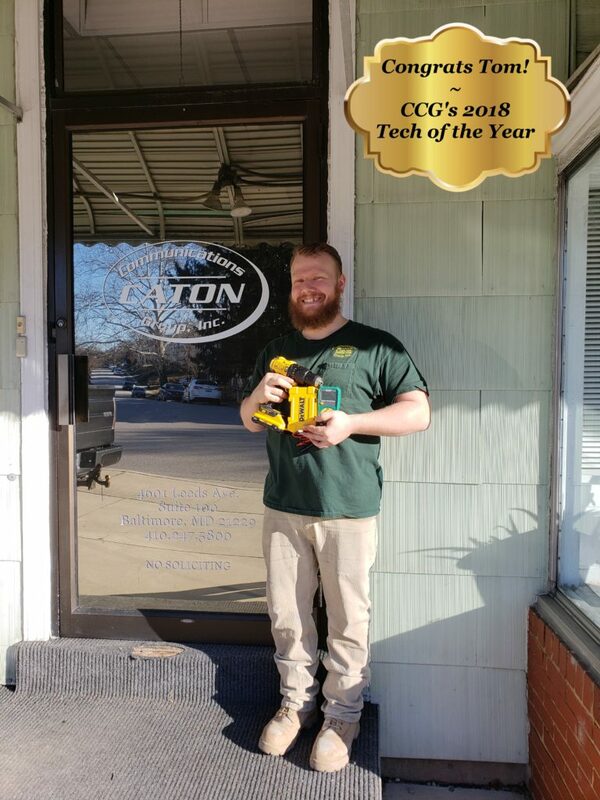 This coupled with his consistent punctuality is what made Tom Bowen, the 2018 CCG “Tech of the Year”. We also want to thank ALL our employees for their hard work in 2018! We are looking forward to another great year in 2019!